SelectDFW guarantees that you can finally bid a content farewell to all your travel worries and tensions. Do not get caught up by focusing on what will only worry you. Instead, hire Allen CAR Service and hand over all your travel responsibilities to us. When you hire Allen CAR Service, all you have to do is access our reservation system at any time of the day through the phone or online and make your bookings. The rest can be easily left to us. At Allen CAR Service, we provide every customer with uniformed chauffeurs to drive you. They are always ready to greet you well in time to begin your journey. Our Drivers: When it comes to your comfort level when travelling in a town car or Limo, your driver can make or break the experience. 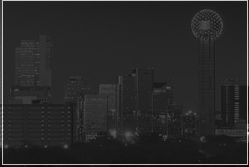 At SelectDFW, the #1 Allen CAR Service, We require comprehensive background checks, past employer recommendations and industry experience to ensure our customers of only the highest level of customer service. Every time you have to step out to travel to the airport, to your office, for business meetings, for shopping trips or quality time with friends, remember that Allen TX Limousines are here to make your drive pleasant.